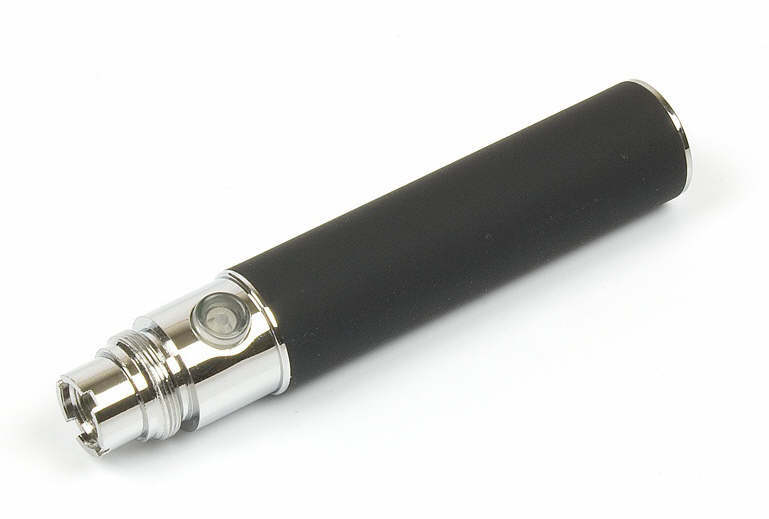 An Electronic Cigarette consists of two main parts, a battery and an atomizing device. 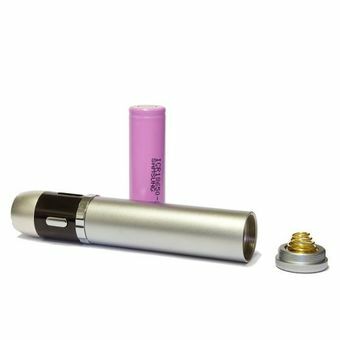 Once the battery is activated, usually by holding down a button on the battery, the atomizing device which contains a coil heats up and vapourizes the e-liquid contained within it to produce vapour. This vapour is then inhaled by the user. There are a number of different types of batteries varying in physical size, features and run time. The most common batteries are called 510 and EGO batteries. 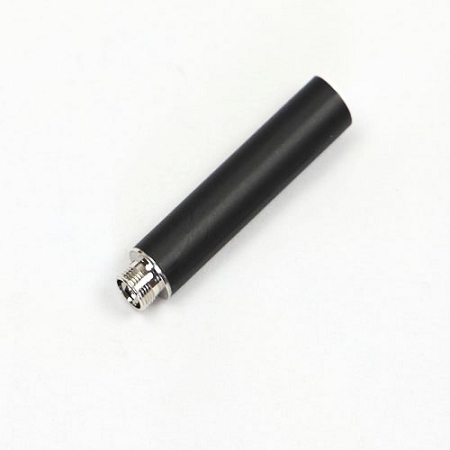 A 510 battery is small in size and looks like a traditional cigarette. It typically only lasts a few hours before needing a recharge but is great for people who are conscious about using an electronic cigarette in public. An EGO battery is typically a little larger than a 510 battery but has a longer runtime between charges. The run time is expressed in mAh, a higher mAh will mean the battery has a longer run time but will be physically bigger. A mod is a more advanced battery which usually has some smarts built in such as battery voltage monitoring, variable voltage settings and many more features. 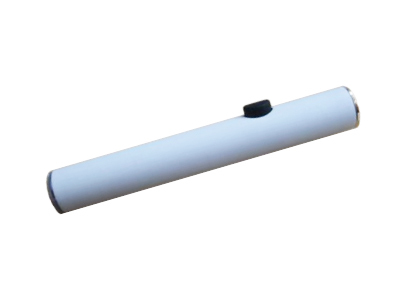 These "mods" generally use Lithium batteries which are removable and are charged outside of the actual casing, usually in a Lithium battery charger. So you have chosen the battery that suits you best, what now? Now it's time to decide what "Atomizing" device to use with your battery. Here is where you have a huge range of choice. Outlined below are the most popular types of atomizing devices on the market today. An Atomizer is the purest form of vaping. It requires you to actually drip your eliquid onto it. This does not suit most people as it requires you to constantly drip liquid onto the atomizer every few puffs. Their appeal is that they produce the best flavour of all the atomizing devices. A Cartomizer is basically an atomizer wrapped in some material that will soak up a certain amount of liquid and keep the atomizer "topped" up for some time. Generally the material will run dry every 30-60 minutes and will need to be topped up. Cartomizers were the preffered choice of atomizing device for some time due to their portability and ability to alllow fuss free vaping for an hour or so. They are considered a great backup in any kit. 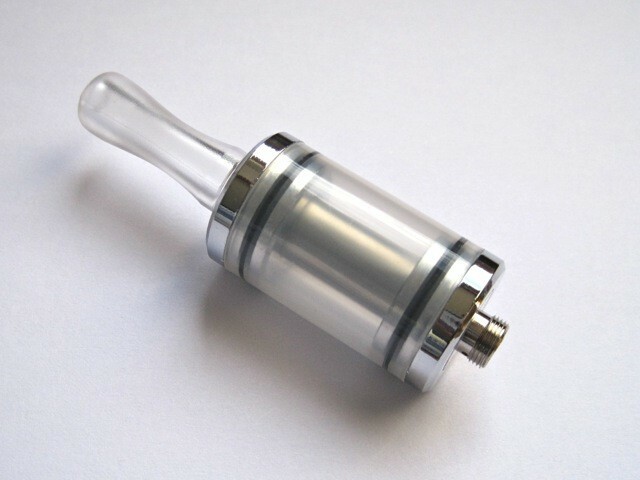 The cartomizer tank is a relatively new device which makes great use of the conventional cartomizer described above. 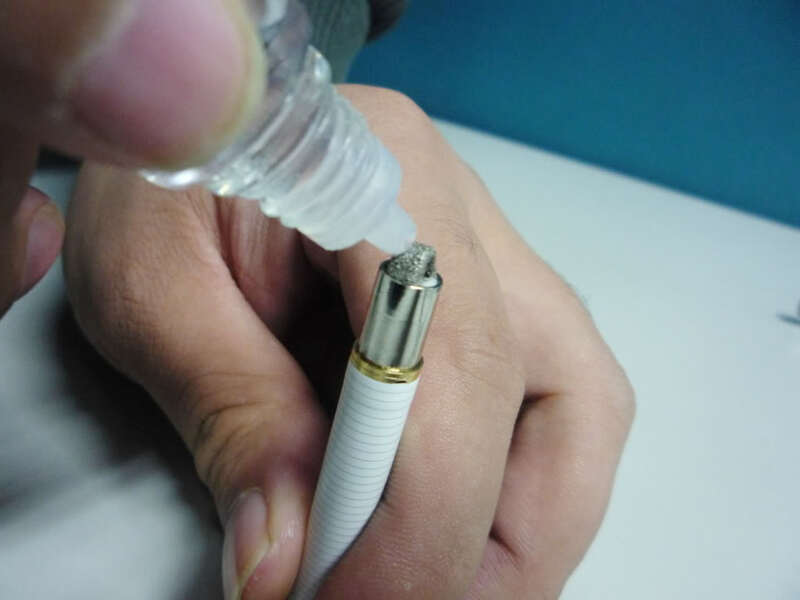 Essentially, it makes use of a cartomizer with a hole punched in it to allow the cartomizer to stay "topped up" by the liquid surrounding it in the tank. The beauty of the Cartomizer Tank is it allows a whole days worth of vaping as it can store quite a bit of liquid in the tank. Arguably the most popular atomizing device on the market today. 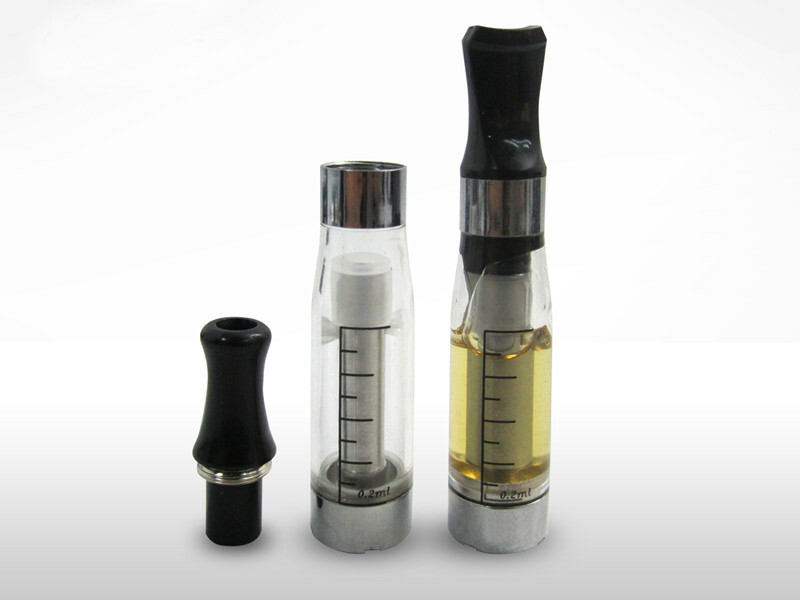 The Clearomizer is in much respects similar to a cartomizer. The difference is the clearomizer does not contain any filler material and relies on strands of wick to carry liquid to the coil. Some people believe this allows a much cleaner flavour. Clearomizers are also much easier to clean and last considerably longer than cartomizers. 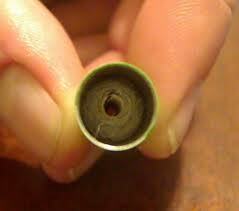 Most also have replaceable coils which make them very cheap to run. Last but not least, you will require some top notch e-liquid for use in your e-cigarette. E-liquid is the liquid used in electronic cigarettes. It can also be referred to as "Juice" or "e-juice". VapeKing produces some of the finest e-liquids in the world. That is essentially the basics of what makes up an electronic cigarette. We have devised some Starter Kits aimed at beginners which contain all the necessary parts to start your journey into the world of electronic cigarettes. If you require more information, or have some questions before taking the plunge, feel free to Contact Us and we will be only too glad to guide you. All prices are in AUD Copyright 2019 Vapeking. Sitemap | Powered by VapeKing. Template by VapeKing.